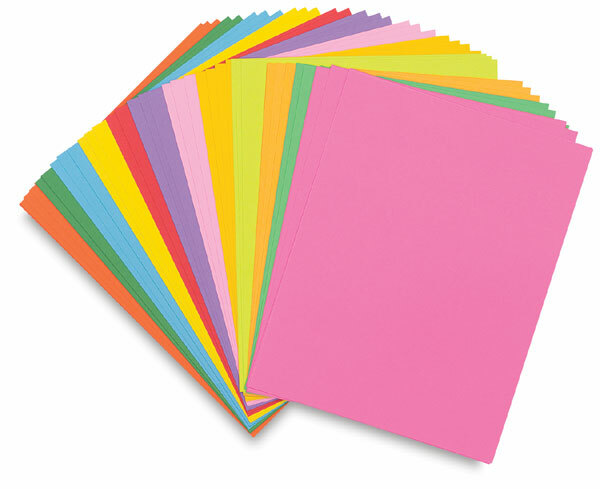 This 60 lb vellum paper is perfect for copy machines, laser printers, and paper sculpture. It retains a sharp crease that makes a precise cut, and accepts all media without feathering. Bright Sheets are acid-free, and made of 50% recycled materials. They come in an assortment of 12 brilliant, fade-resistant colors.